Lover of beautiful things and places! 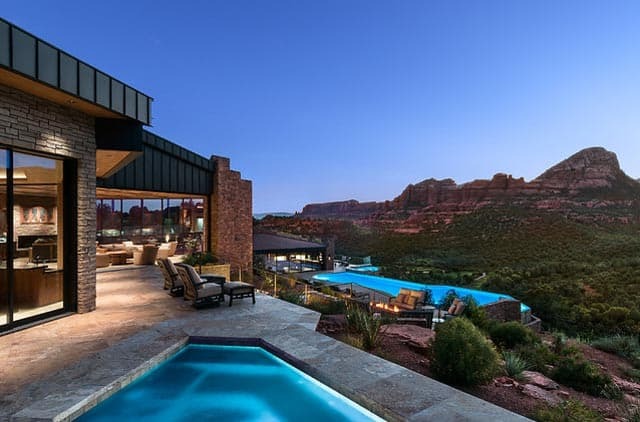 It’s no wonder that Susie Hersker and her team at Design Directives are renowned for their ability to create modern and contemporary spaces that capture the mystical feel of the Southwest region. 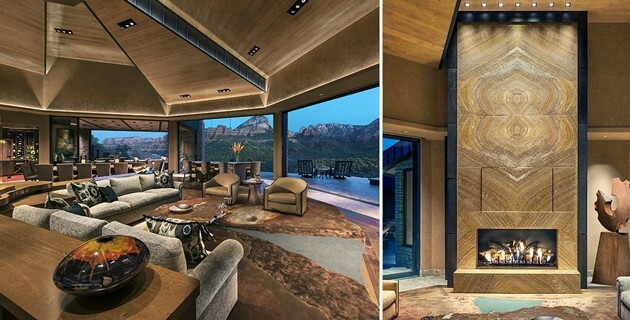 Their award-winning custom interior designs - and gorgeous exteriors - are lavish, beautiful, and uniquely designed. 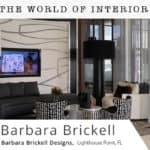 Known for using lots of stone, metal, and woods, Susie and her team meticulously bring in texture while maintaining a contemporary and modern elegance. It’s hard to find residential designs of such a high caliber, as each of Susie’s projects exude a high level of detail and precision. Catering to some of the poshest homes in the Southwest region, Susie perfectly captures the affluent lifestyles of her clients in each home she touches. As most of her designs are in the Southwest, where sunshine stretches for miles, I thought I’d share a few of her designs that have me wanting to pack my bags and move to the wondrous desert landscape of Scottsdale! A show-stopping cantina styled outdoor kitchen. 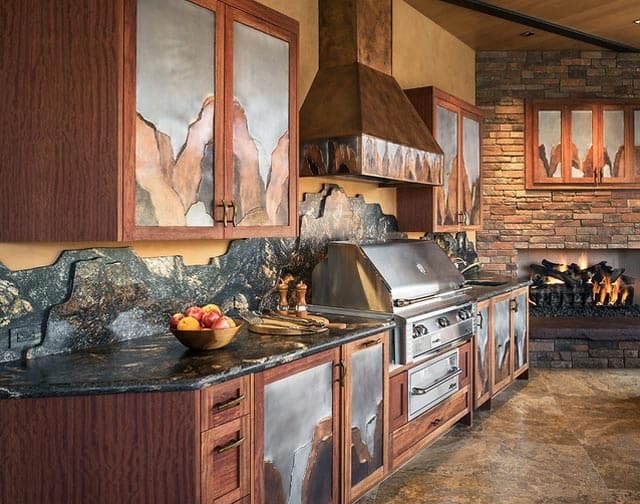 I love the unique stone backsplash and cabinets doors - the design reminds me of the desert mountains! An outdoor terrace with a negative edge pool and spa area. Looking over the golf course and out on the desert horizon, I don’t know what I love more, the design or the view? 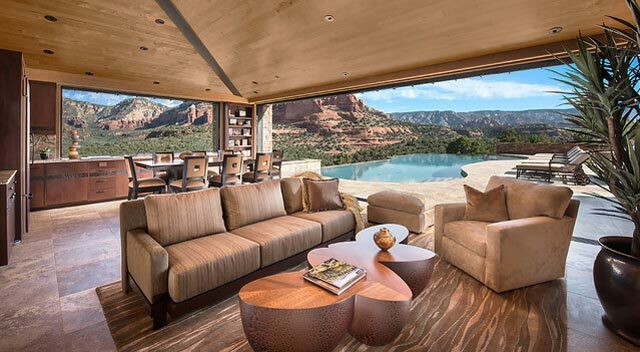 Indoor/outdoor living at its finest! This cabana features a sitting area and fully equipped kitchen, not to mention the ability to keep this space open or closed! Just off the patio lies a grandiose pool, perfect for daytime or nighttime swims! 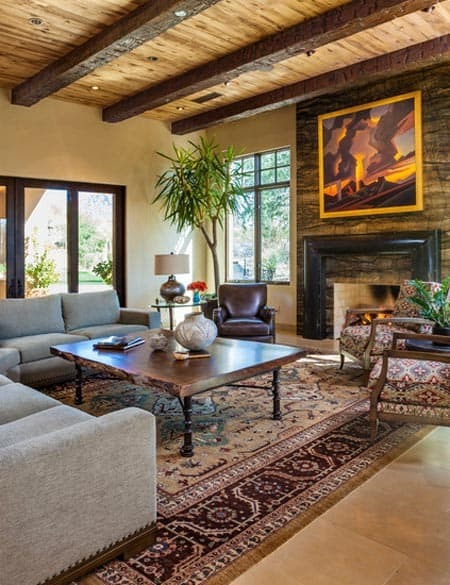 An open living room with elegantly high ceilings, custom furnishings, and modern fireplace. The slim size is complemented by the custom wall-mounted shelves -- such a unique focal point! 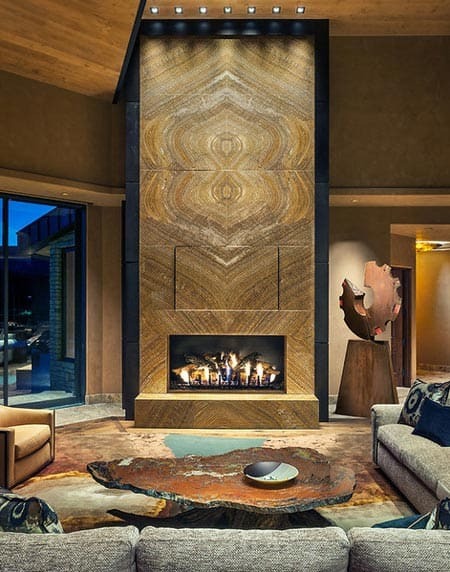 Speaking of focal points, this 17-foot fireplace is none other than a masterpiece. With black onyx framing the unique slab stone, one’s eye is immediately drawn to it -- not to mention the beautiful petrified wood coffee table! Another sleek slab stone fireplace, but this time with the inclusion of a simply designed mantle. I love the minimalist feel it brings to such an eclectic space, and how the vibrant artwork instantly lightens up the entire room. 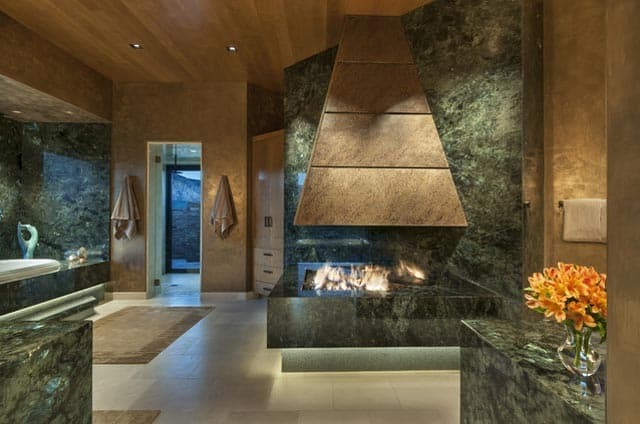 This could easily be in the fireplace category due to it’s unique open and triangular design. What ultimately catches my eye, however, are the floating elements throughout the space and dazzling marble walls that resemble a jade-like hue! A modern guest bathroom that’s years ahead in style and sophistication. Another magnificent and original design! 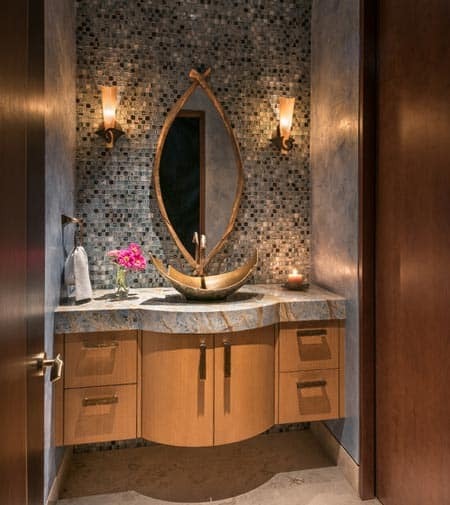 the custom-made floating vanity is adorned with a multi-colored stone countertop, mosaic backsplash, curved wooden mirror frame, and exotic vessel sink. I can’t decide which element is my favorite! 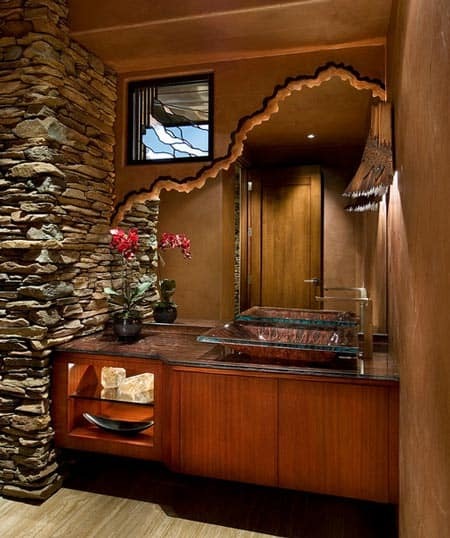 Another gorgeous powder room interior! A natural stone feature wall sets a warm tone, while the custom cut-out mirror and vanity display shelf add a creative twist. It’s all about the detail, here! If you love these designs as much as I do, make sure to check out all of Susie Hersker’s work on Houzz and Facebook! 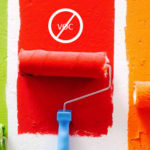 It is challenging to run a design business. 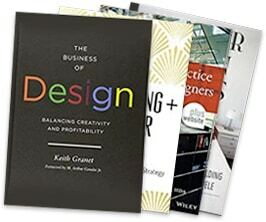 I’ve polled my interior designer friends and have come up with this list of must reads for the design business. 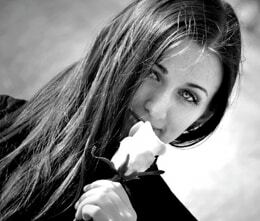 Angelica is a lover of all things beautiful, which is reflected in her writing. She has a particular fondness for interior design. 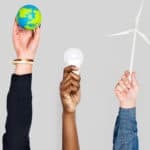 She loves to travel, shop, indulge in sweets, and connect with design lovers. Besides for blogging on design, Angelica writes journalistic pieces on inspiring trends, projects, events, and designers. Disclosure: This site contains affiliate links that earn me a small commission, at no additional cost to you. I only recommend products I personally use and love, or think my readers will find useful.